Heroes, Heroines, and History: What in the World is Scherenschnitte? What in the World is Scherenschnitte? Scherenschnitte, pronounced SHARE-en-shnit-tah, is almost as difficult to articulate as it is to create. Scherenschnitte, the art of “scissor snipping” or “scissor cutting,” probably originated in China, although some sources say Switzerland. Early paper cuttings in China were made by wealthy nobles as a form of entertainment. The intricate craft traveled across Asia and Europe, and later, made its way to America in the eighteenth century as German immigrants settled in Pennsylvania. Scherenschnitte literally means "scissor cuts" in German. 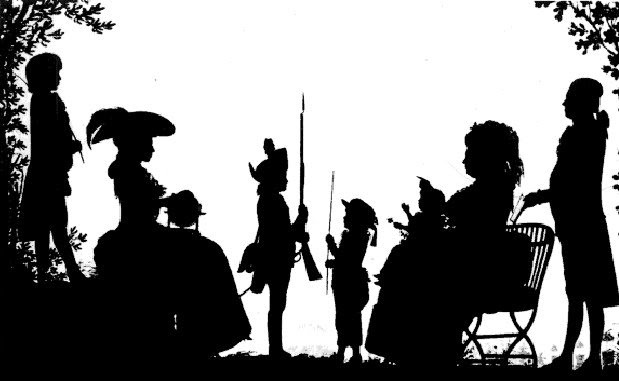 The term “Chinese shadow” was also used for early paper cuttings but was replaced by the term “silhouette” in France—a term it is still referred to today. Early cutwork often consisted of religious themes. Monks and nuns painstakingly created religious hand-lettered texts with elaborate cut designs. Scherenschnitte focuses on life’s significant events like birth, schooling, courtship, marriage, family, and death. Farm life, flowers, trees, animals, birds, hearts and other figures are incorporated in designs. Resembling a stitched sampler, fancy scrolls were inscribed with verses, names and locales. Experienced paper cutters generally worked freehand, without the aid of drawings or guides. For less practiced cutters, a design was planned before any cuts were made, making sure that all parts of the design connect to one another so that the entire paper stays together. Using sharp scissors, or sometimes sharp knives, they cut their motifs with exact precision, most often from a single piece of intricately folded paper. Cutting techniques varied with some designs created from cutting folded paper while others were cut from flat sheets. 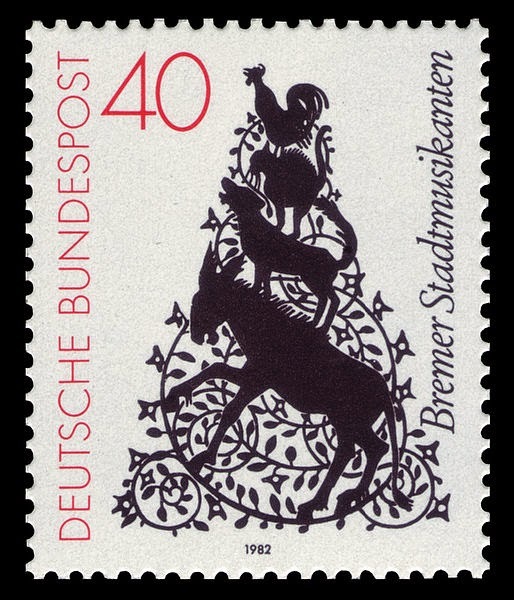 A finished piece of scherenschnitte is usually displayed against another piece of paper. The Swiss developed a method of layering cut paper, which gave it a 3-D effect. Scherenschnitte is nearly a lost art, although some Dutch people are determined to keep it alive. You’ve probably made a scherenschnitte creation yourself without even knowing it. Remember when you were a child and you folded paper then cut away small pieces to make a snowflake? Viola! You made a scherenschnitte design. Next time you come across a paper cutting, maybe you’ll consider the rich history of the art. 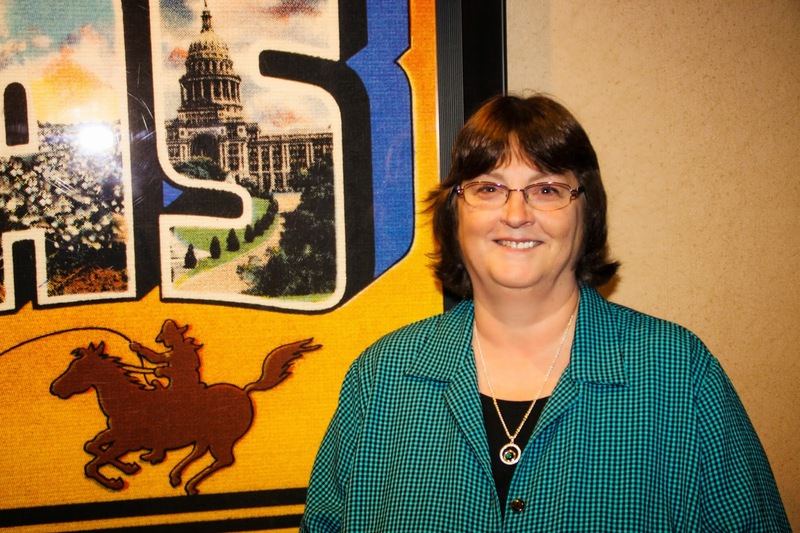 Bestselling author, Vickie McDonough, grew up wanting to marry a rancher, but instead, she married a computer geek who’s scared of horses. She now lives out her dreams in her fictional stories about ranchers, cowboys, lawmen and others living in the West during the 1800s. Vickie is the award-winning author of over 40 published books and novellas. 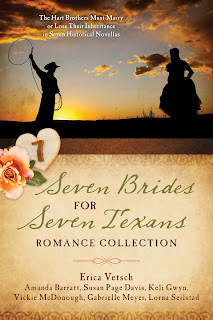 Her books include the fun and feisty Texas Boardinghouse Brides series, and End of the Trail, from the Texas Trails series, which was the OWFI 2013 Best Fiction Novel winner. Whispers on the Prairie, Pioneer Promises book 1 was a Romantic Times Recommended Inspirational Book for July, 2013. Gabriel's Atonement, book one in her Land Rush Dreams series is a finalist in the Will Rogers Medallion Awards. I have actually done this Scherenschnitte in the past, Vickie. Very intricate, but beautiful! Funny you'd write about it now, because I was just thinking about it in the past few weeks and wondering where my book of patterns wandered off to. :) Now I REALLY must find the book. I'd love to see some of your work, Jennifer. I have a book and bought scissors and paper, but I can't bring myself to try it. Hello Vickie, I had never heard this word and how interesting a concept...there are so many forms of art and to know the history behind this is good to see. I recently read one of your books "Whispers on the Prairies" loved the story and will be looking for more of your work. Thanks for stopping by, Paula. I'm glad you enjoyed Whispers. I recently finished the final book in the series, Song of the Prairie, which releases in June. Love scherenschnitte, Vickie! I have a couple of lovely pieces I bought years ago, and I totally admire the practitioners of this skill. Thank you for this article! I had no idea it most likely came from China. I love this. My grandmother had several pieces framed in her home. I wish I knew what happened to them. Such skill it took to do this. I had no idea where it originated or what it really was. Thanks for a delightful post. Interesting type of artwork and creativity, too. Thank you for sharing.